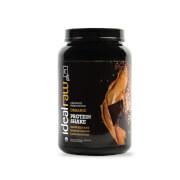 Your tastebuds will go absolutely bananas over IdealRaw Banana Almond Organic Protein! With a flavor reminiscent of a banana nut muffin, it’s the perfect taste when you’re looking for something other than chocolate or vanilla. 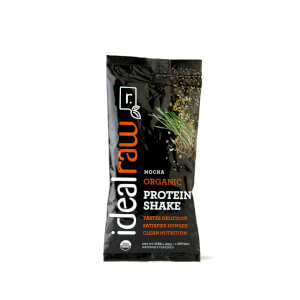 IdealRaw Naturally Flavored Banana Almond Organic Protein Shake offers the same 15g of protein per serving, as well as only 130 calories, 6g of fat, and 4g of carbs! 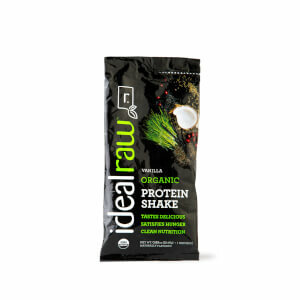 And, of course, it’s made from only USDA-certified organic ingredients, dairy, soy, and gluten free, and makes for a fantastic way to get extra protein into your diet. My favorite protein! I love this flavor. I usually mix with almond milk, 1% or use in a smoothie! I find that if I have one scoop or serving a day I’m more content throughout the day and I feel like I’m adding a sufficient amount of protein a day for my body since. One added bonus is that I find I am less bloated with this protein than many others I’ve tried. Really like this flavor. The banana almond flavor is subtle but nice, especially with blueberries. This is BY FAR the best plant-based protein shake I've ever tried. The others are bland and hard to even swallow. I love that these are all organic and sweetened with stevia. No artificial sweeteners and NO SOY OR DAIRY which I love even more. I have a hormone imbalance (PCOS) and can't have soy and shouldn't have dairy (makes symptoms worse). The Banana Almond tastes like liquid banana bread and is sooooo good!!! Definitely recommend! Wow! This is by far the best flavor we’ve tried. My kids love it mixed with their smoothies in the mornings. Best flavor ever!!! Followed closely by mocha. Please don't ever get rid of either! This protein is delicious! 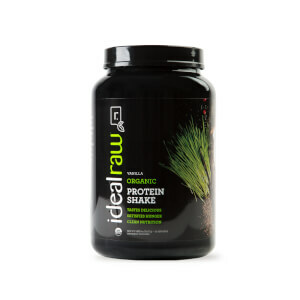 I know some people complain about the texture and how it mixes but it is so much better than any other plant based protein I have ever tried. 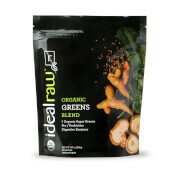 I use it in a blender with almond milk and frozen fruit (banana and blueberries) and it is great. I gave this protein a 2 star for a couple reasons: 1, I've noticed I have a harder time getting this to mix thoroughly with my shaker cups than the other ones and 2, the banana taste is very over powering and too sweet. If I make a shake with some peanut butter and cinnamon I can drink this otherwise I don't like it with just milk alone. I'll be honest with you. I was real nervous about the Banana Almond protein flavor, but now that I have had it. It is one of my favorites. I look forward to the mornings I know I am going to have this one. It's really good, and changes things up a bit instead of always having chocolate. LOVE IT! 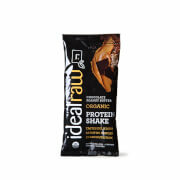 I was look for a quick shake to have in the morning and afternoon. I just want to add water or almond milk , shake and go. This is not going to be the best shake for that. However it is a great add in to overnight oats. The taste is great. Mocha reigns supreme. I have tried all the flavors and this one is my favorite. Digests very well. Very smooth and not griddy. I add this to my morning coffees and smoothies. SO good!